Japanese carmaker Nissan and power management company Eaton have unveiled a joint venture to provide wall-mountable lithium-ion batteries to power homes. The new home battery system, called xStorage, will be in direct competition with Tesla's Powerwall lithium-ion wall-mounted battery, which the company announced last year. 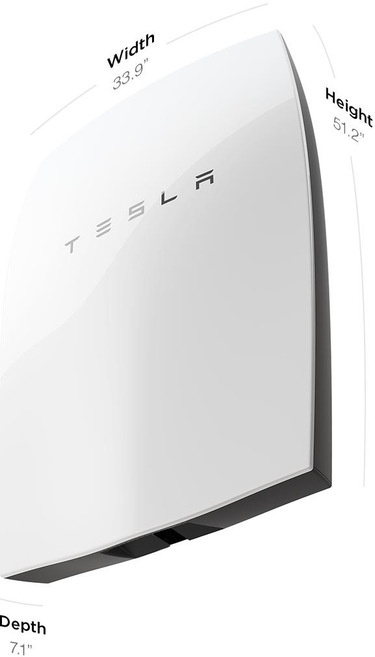 Tesla's Powerwall will come in 6.4 kilowatt hour (kWh) and 10kWh capacities. The 6.4kWh battery retails for US$3,000 in the United states. Local pricing is still yet to be announced. Recently, Tesla removed the 10kWh Powerwall battery from its website. Nissan/Eaton's xStorage wall-mounted lithium-ion battery system will provide 4.2kWh of power and have a starting price of about US$4,800, the companies said. The xStorage lithium-ion home battery. While the xStorage battery appears to cost more than the Powerwall, Nissan said the total cost of ownership would be lower because the price includes professional installation of the unit. SolarCity is expected to charge about US$4,000 for the Powerwall battery with installation, which includes an inverter that changes direct current from solar panels to usable alternating current. Additionally, up to nine Powerwall battery units can be daisy-chained together on a wall to provide up to about 57kWh of power. Nissan and Eaton did not specify whether their batteries could be interconnected to provide more aggregate power. The average U.S. household uses about 20kWh to 25kWh of power every day, according to GTM Research. Preorders for the xStorage battery will begin in September. There were no details about the actual size of the xStorage product on either vendor's site, but from photographs, it appears to be about the same size as Tesla's Powerwall battery. The Powerwall battery, which is 51.3-in. x 34-in. x 7.2-in., is already shipping to customers who reserved it early through Tesla Energy, a subsidiary of Tesla Motors. Tesla is constructing a massive Gigafactory to build the batteries just outside of Reno, Nevada. The factory, which will also build batteries for Tesla's all-electric vehicles, is already producing Powerwall batteries. Both the Powerwall and the new xStorage battery are aimed at storing electricity from a grid or from renewable sources, such as solar panels. During the night, or when utility rates are low, or during a power outage, the batteries would power a home. Unlike Tesla, which will sell its batteries through 10-year-old SolarCity, Nissan and Eaton are manufacturing giants with more than 100 years of experience each in selling products around the globe. 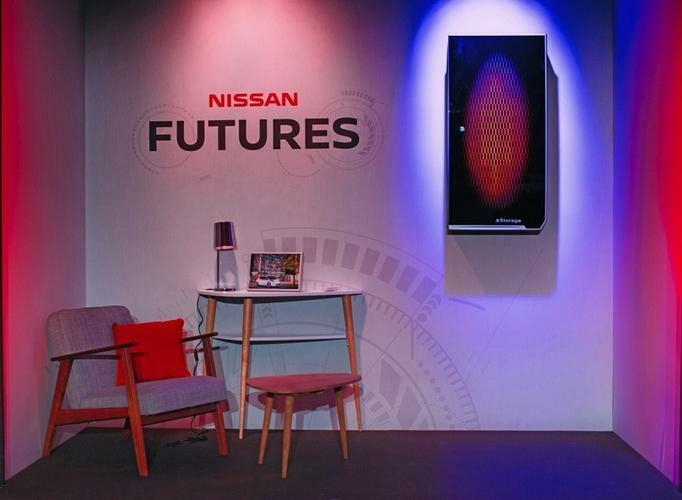 The xStorage batteries were designed in the UK at Nissan Design Europe in London. The companies did not specify whether they would sell the batteries in the North American market. Nissan and Eaton officials could not immediate;y be reached for comment. Like Nissan, Eaton is an enormous corporation, with 97,000 employees and revenue that topped US$20.9 billion last year. Founded as a U.S. company in 1922, but based in Dublin today, Eaton makes a variety of products, including circuit breakers, electrical invertors, sensors, relays and UPS systems, that are sold in 175 countries. Nissan and Eaton said they expect sales of the xStorage batteries to exceed 100,000 units within the next five years. "It is high time consumers were given the flexibility and power to control how and when they use energy in their own homes," Paul Willcox, chairman of Nissan Europe said in a statement. "The new xStorage solution combines Nissan's expertise in vehicle design and reliable battery technology with Eaton's leadership in power quality and electronics, resulting in a formidable second life battery solution."